I recently wrote a review of Flare Version 2 which is a recent extension to the Cresset portfolio with the introduction of Electrostatic Complementarity (EC), i.e. a comparison of electrostatics on both the small molecule ligand and the target protein. 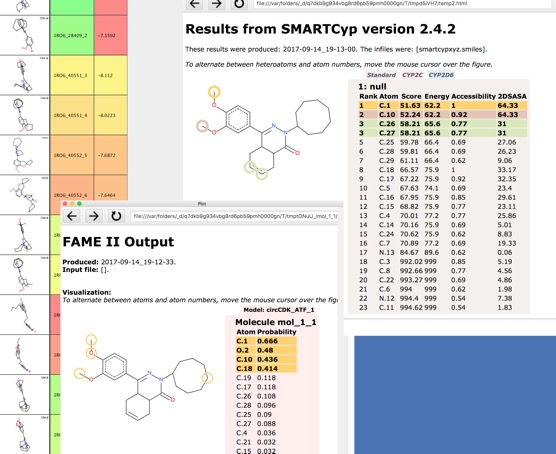 In addition Flare version 2 includes a new Python API, that allows users to automate tasks by scripting, but also integration with other Python packages such as RDKit cheminformatics toolkit, Python modules for graphing, statistics (NumPy, SciPy, MatPlotLib), and Jupyter notebook integration, it is this aspect of Flare that is the subject of this review. I was sent to this recently. This collection publishes articles describing new Python modules and libraries, as well as applications developed in Python. Python is a free, open source programming language with an emphasis on readability which is widely used in science due to its ease of use and high-performance. Python’s usefulness in research is further bolstered by scientific libraries and tools such as Numpy, Scipy, Pandas, IPython and MatPlotlib. As for example demonstrated by Biopython, Python libraries can be incredibly valuable to other researchers. Publishing a citable, peer reviewed article outlining a new package boosts its visibility and enables its creators to receive proper credit for their contribution. Very little there at present but I'll keep an eye on it for the future. Just saw an interesting paper "QUBEKit: Automating the Derivation of Force Field Parameters from Quantum Mechanics" DOI. QUBEKit is python based force field derivation toolkit that allows users to derive accurate molecular mechanics parameters directly from quantum mechanical calculations. Code is available on GitHub QUBEKit, and there is a user tutorial on the Wiki Page. Sometimes I have two datasets and I just want to know the overlap of identical structures. This Vortex script counts the number of identical structures by comparing InChIKeys. It then displays a matrix showing how many unique molecules in each dataset and how many molecules are in both datasets. I just heard that the following command line scripts available as part of MayaChemTools package now have implemented multiprocessing functionality. This is the first time there are PyMOL bundles with Python 3. If you use custom or third-party Python 2 scripts, they might stop working until you convert them. A new release of MayaChemTools is now available, these comprise a fantastic collection of Perl and Python scripts, modules, and classes to support a variety of day-to-day computational discovery needs. 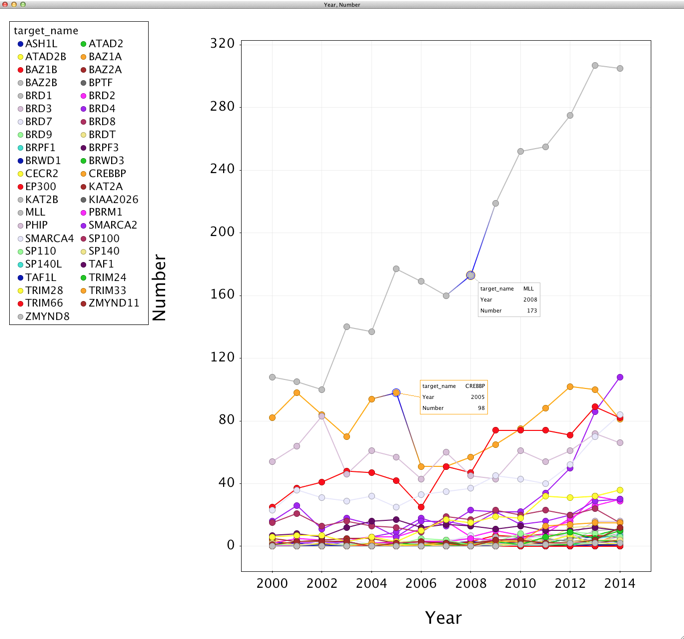 FPSim2 is a new tool for fast similarity search on big compound datasets (>100 million) being developed at ChEMBL. It was developed as a Python3 library to support either in memory or out-of-core fast similarity searches on such dataset sizes. It is built using RDKit and can be installed using conda. It requires Python 3.6 and a recent version of RDKit.. I've written a couple of Jupyter notebooks to demonstrate it's use. You can read the full tutorial here, and download the notebooks. Small molecules can potentially bind to a variety of bimolecular targets and whilst counter-screening against a wide variety of targets is feasible it can be rather expensive and probably only realistic for when a compound has been identified as of particular interest. For this reason there is considerable interest in building computational models to predict potential interactions. With the advent of large data sets of well annotated biological activity such as ChEMBL and BindingDB this has become possible. ChEMBL 24 contains 15,207,914 activity data on 12,091 targets, 2,275,906 compounds, BindingDB contains 1,454,892 binding data, for 7,082 protein targets and 652,068 small molecules. These predictions may aid understanding of molecular mechanisms underlying the molecules bioactivity and predicting potential side effects or cross-reactivity. Whilst there are a number of sites that can be used to predict bioactivity data I'm going to compare one site, Polypharmacology Browser 2 (PPB2) http://ppb2.gdb.tools with two tools that can be downloaded to run the predictions locally. One based on Jupyter notebooks models built using ChEMBL built by the ChEMBL group https://github.com/madgpap/notebooks/blob/master/targetpred21_demo.ipynb and a more recent random forest model PIDGIN. If you are using proprietary molecules it is unwise to use the online tools. Around 4% of the population suffer from colour blindness in one for or another with red/green colour blindness being the most common and sadly in many plots, graphs, presentations little effort is made to make things easier for those people with colour blindness. Color blindness, also known as color vision deficiency (CVD), is the decreased ability to see color or differences in color. Simple tasks such as selecting ripe fruit, choosing clothing, and reading traffic lights can be more challenging. Color blindness may also make some educational activities more difficult. 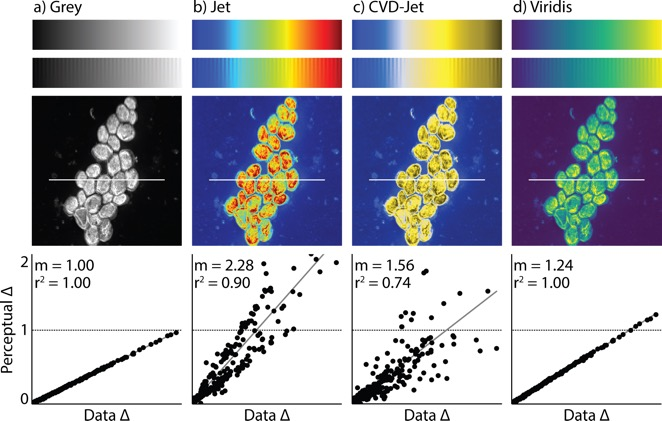 While there have been some attempts to make aesthetically pleasing or subjectively tolerable colormaps for those with CVD, our goal was to make optimized colormaps for the most accurate perception of scientific data by as many viewers as possible. We developed a Python module, cmaputil, to create CVD-optimized colormaps, which imports colormaps and modifies them to be perceptually uniform in CVD-safe colorspace while linearizing and maximizing the brightness range. The module is made available to the science community to enable others to easily create their own CVD-optimized colormaps. A little while back I described a docking workflow including a rescoring script for Vortex, so I thought it might be useful to include this on a separate page. Recently, machine-learning scoring functions trained on protein-ligand complexes have shown significant promise an example being (RF-Score-VS) trained on 15 426 active and 893 897 inactive molecules docked to a set of 102 targets DOI. Our results show RF-Score-VS can substantially improve virtual screening performance: RF-Score-VS top 1% provides 55.6% hit rate, whereas that of Vina only 16.2% (for smaller percent the difference is even more encouraging: RF-Score-VS top 0.1% achieves 88.6% hit rate for 27.5% using Vina). In addition, RF-Score-VS provides much better prediction of measured binding affinity than Vina (Pearson correlation of 0.56 and −0.18, respectively). Lastly, we test RF-Score-VS on an independent test set from the DEKOIS benchmark and observed comparable results. Binaries for RF-Score-VS are available https://github.com/oddt/rfscorevs_binary. The full details of the Vortex script are here. The results of the 19th annual KDnuggets Software Poll are now in. Continuing the trend over the last few years Python continues to expand its user base and is now up to 66%. Since a couple of the other options are also Python based this could be an underestimate. There is more detailed analysis on the website. Interestingly Python seems to be the only programming language that is increasing in use. 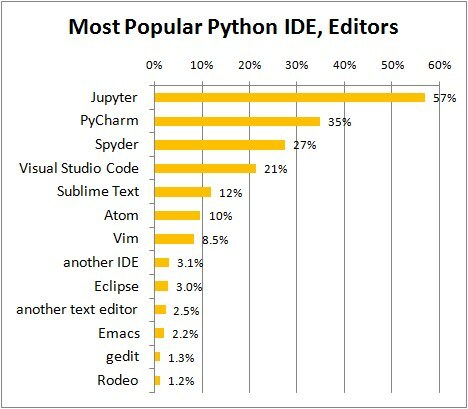 I always keep an eye out for the polls on KDnuggets, the latest one looks at Python editors or IDEs, over 1900 people took part and the results are shown below (users could select up to 3). There is more detail in the linked page. I've become a great fan of Jupyter, and not only for Python. A recent publication described OSPREY 3.0: Open-Source Protein Redesign for You, with Powerful New Feature DOI. We present Osprey 3.0, a new and greatly improved release of the osprey protein design software. Osprey 3.0 features a convenient new Python interface, which greatly improves its ease of use. It is over two orders of magnitude faster than previous versions of osprey when running the same algorithms on the same hardware. Moreover, osprey 3.0 includes several new algorithms, which introduce substantial speedups as well as improved biophysical modeling. It also includes GPU support, which provides an additional speedup of over an order of magnitude. Like previous versions of osprey, osprey 3.0 offers a unique package of advantages over other design software, including provable design algorithms that account for continuous flexibility during design and model conformational entropy. Finally, we show here empirically that osprey 3.0 accurately predicts the effect of mutations on protein–protein binding. Osprey 3.0 is available at http://www.cs.duke.edu/donaldlab/osprey.php as free and open‐source software GPLv2. The source code is available on GitHub https://github.com/donaldlab/OSPREY3/. Unfortunately the installation instructions do not include Mac OSX but there are instructions for "Debian-like Linux" which seemed promising. With the invaluable help of Nathan Guerin I was able to get OSPREY installed. When I wrote the article entitled A few thoughts on scientific software one of the responses I got was that people did not know about the existence of open-source chemistry toolkits so I thought I'd publish a page that hopefully prevent stop people reinventing the wheel. Here are a few open-source cheminformatics toolkits that I'm aware of. As always happy to hear comments or suggestion for additions. Comparison of different algorithms is an under researched area, this publication looks like a useful starting point. De novo design seeks to generate molecules with required property profiles by virtual design-make-test cycles. With the emergence of deep learning and neural generative models in many application areas, models for molecular design based on neural networks appeared recently and show promising results. However, the new models have not been profiled on consistent tasks, and comparative studies to well-established algorithms have only seldom been performed. To standardize the assessment of both classical and neural models for de novo molecular design, we propose an evaluation framework, GuacaMol, based on a suite of standardized benchmarks. The benchmark tasks encompass measuring the fidelity of the models to reproduce the property distribution of the training sets, the ability to generate novel molecules, the exploration and exploitation of chemical space, and a variety of single and multi-objective optimization tasks. The benchmarking framework is available as an open-source Python package. guacamol requires the RDKit library (version 2018.09.1.0 or newer). I've mentioned Samson a couple of times and I noticed that the documentation has been updated. Documentation is a critical but often overlooked feature of software. Sometimes it is the simplest scripts that prove to be the most useful, the most downloaded AppleScript on the site is the one that simply prints the text on the clipboard. I regularly need to select a specified number of molecules in a random fashion and this script does just that. Import a sdf file containing structures into Vortex and run the script to make a random selection. A recent paper in Journal of Cheminformatics describes An automated framework for NMR chemical shift calculations of small organic molecules DOI. As an alternative, we introduce the in silico Chemical Library Engine (ISiCLE) NMR chemical shift module to accurately and automatically calculate NMR chemical shifts of small organic molecules through use of quantum chemical calculations. ISiCLE performs density functional theory (DFT)-based calculations for predicting chemical properties—specifically NMR chemical shifts in this manuscript—via the open source, high-performance computational chemistry software, NWChem. ISiCLE is implemented using the Snakemake workflow management system, enabling scalability, portability, provenance, fault tolerance, and automatic job restarting. Snakemake provides a readable Python-based workflow definition language and execution environment that scales, without modification, from single-core workstations to compute clusters through as-available job queuing based on a task dependency graph. There is more details on Snakemake here. I've added Isicle to the Spectroscopy Page. I've been using Jupyter notebooks for a little while but I only just recently found out that you can embed LaTeX or MathML into a notebook! This notebook is just a series of examples of what can be done. You can embed equations inline or have them on a separate line in a markdown text cell. Or in a code cell by importing Math or invoking latex. I just noticed that Greg Landrum has posted a page on how to contribute to RDKit. https://github.com/rdkit/rdkit/wiki/HowToContribute. There many ways to contribute, you don't have to be Python or C++ developer, simply being an active user and asking questions and contributing solutions helps other users. Improving the documentation is always a great place from newcomers to start, particularly highlighting things that are not as clear as they could be. I've also added the link to the Toolkits page. MayaChemTools is a growing collection of Perl and Python scripts, modules, and classes to support a variety of day-to-day computational discovery needs. Volume objects to visualize X-ray and cryo-EM density for complex, chains, ligands, binding pockets, pocket solvents, pocket inorganics, etc. Camelot is described as a PDF Table Extraction for Humans, it is a Python library that makes it easy to extract tables from PDF files. >>> tables.df # get a pandas DataFrame! 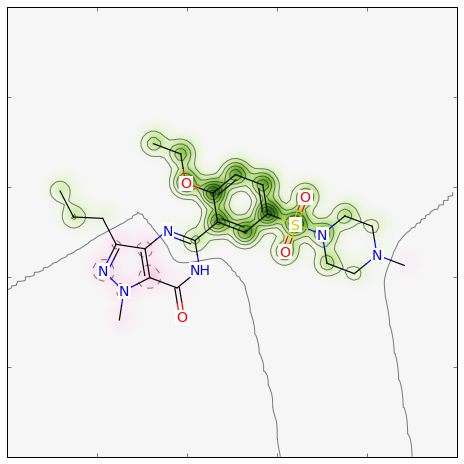 TTclust DOI is a python program used to cluster molecular dynamics simulation trajectories. 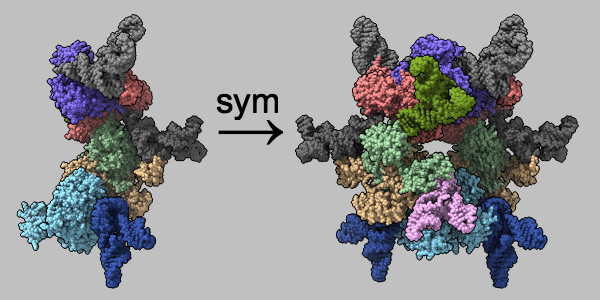 It only requires a trajectory and a topology file (compatible with most molecular dynamic packages such as Amber, Gromacs, Chramm, Namd or trajectory in PDB format thanks to the MDtraj package). It is available on GitHub https://github.com/tubiana/TTClust. If you have issues with pip, first try to add to pip the --ignore-installed argument : sudo pip install --ignore-installed -r requirements.txt If it still doesn't work, it's maybe because of the System Integrity Protection (SIP). I suggest you in this case install ANACONDA or MINICONDA and restart your terminal afterwards. Normally, the pip command should work because your default python will be the anaconda (or miniconda) python. Just highlighted on the RDKit email list, you can install RDKit using conda. RDKit is a collection of cheminformatics and machine-learning software written in C++ and Python. An interesting recent publication describes pywindow DOI a Python package for the analysis of structural properties of molecular pores (porous organic cages, but also MOFs and metallorganic cages). Structural analysis of molecular pores can yield important information on their behavior in solution and in the solid state. We developed pywindow, a python package that enables the automated analysis of structural features of porous molecular materials, such as molecular cages. Example3: Calculating an average molecule diameter. Example4: Analysis of a MOF. Example5: Analysis of a metal-organic cage. Example6: Analysis of a periodic system containing several molecular pores that requires unit cell reconstruction. Example7: Analysis of an MD trajectory containing single molecular pore. I've been checking a few things since I updated. One thing that was immediately apparent was the similarity maps in RDKit are much nicer! As you can see from the output of the HERG prediction. Feel like I got something for free. I've been putting off doing any updates until I finished a substantial piece of work, but now I have time so wish me luck. A recent paper "The Catch-22 of Predicting hERG Blockade Using Publicly Accessible Bioactivity Data" DOI described a classification model for HERG activity. I was delighted to see that all the datasets used in the study, including the training and external datasets, and the models generated using these datasets were provided as individual data files (CSV) and Python Jupyter notebooks, respectively, on GitHub https://github.com/AGPreissner/Publications). The models were downloaded and the Random Forest Jupyter Notebooks (using RDKit) modified to save the generated model using pickle to store the predictive model, and then another Jupyter notebook was created to access the model without the need to rebuild the model each time. This notebook was exported as a python script to allow command line access, and Vortex scripts created that allow the user to run the model within Vortex and import the results and view the most significant features. All models and scripts are available for download. https://know.anaconda.com/Scaling-Python-Dask-Webinar.html Wednesday, May 30th at 2:00PM CDT. Dask is a flexible parallel computing library for analytic computing. Dynamic task scheduling optimized for computation. This is similar to Airflow, Luigi, Celery, or Make, but optimized for interactive computational workloads. “Big Data” collections like parallel arrays, dataframes, and lists that extend common interfaces like NumPy, Pandas, or Python iterators to larger-than-memory or distributed environments. These parallel collections run on top of the dynamic task schedulers. Anyone fancy taking this for a test drive and providing some information on performance? Get real performance results and download the free Intel Distribution for Python that includes everything you need for blazing-fast computing, analytics, machine learning, and more. Use Intel Python with existing code, and you’re all set for a significant performance boost. The core computing packages, Numpy, SciPy, and scikit-learn, are accelerated under the hood with powerful, multithreaded native performance libraries such as Intel® Math Kernel Library, Intel® Data Analytics Acceleration Library, and others, to deliver native code-like performance results to Python. We leverage Intel® hardware capabilities using multiple cores and the latest Intel® Advanced Vector Extensions (Intel® AVX) instructions, including Intel® AVX-512. The Intel Python team reimplemented select algorithms to dramatically improve their performance. Examples include NumPy FFT and random number generation, SciPy FFT, and more. Available for Windows, Linux and macOS. I bookmarked this paper a while back but have only just had time to read it through, STK: A Python Toolkit for Supramolecular Assembly. STK is a tool for the automated assembly, molecular optimization and property calculation of supramolecular materials. It has a simple Python API and integration with third party computational codes. The source code of the program can be found at https://github.com/lukasturcani/stk and the detailed documentation is here. Additional linking functional groups can be defined as SMARTS and STK can be extended by adding additional optimisation force-fields. I've posted about Samson a couple of times and it just keeps getting better and better. SAMSON is a novel software platform for computational nanoscience. Rapidly build models of nanotubes, proteins, and complex nanosystems. Run interactive simulations to simulate chemical reactions, bend graphene sheets, (un)fold proteins. SAMSON's generic architecture makes it suitable for material science, life science, physics, electronics, chemistry, and even education. SAMSON is developed by the NANO-D group at INRIA, and means "Software for Adaptive Modeling and Simulation Of Nanosystems. A recent blog post highlights the use of RDKit in Samson. In this post I will present you the RDKit-SMILES Manager module that I integrated in the SAMSON platform. As some of you know, RDKit is an open source toolkit for cheminformatics which is widely used in the bioinformatics research. One of its features is the conversion of molecules from their SMILES code to a 2D and 3D structures. Thanks to the new SAMSON Element, it is now possible to use these features in the SAMSON platform. SMILES code files (.smi) or text files (.txt) containing several SMILES codes can be read using the import button. The new module allows you to import a file containing SMILES strings, generate 2D depictions, and by right-clicking on these images, you can open, generate the 3D structure in SAMSON or save the image as png or svg. It is also possible to run substructure searching using SMARTS. 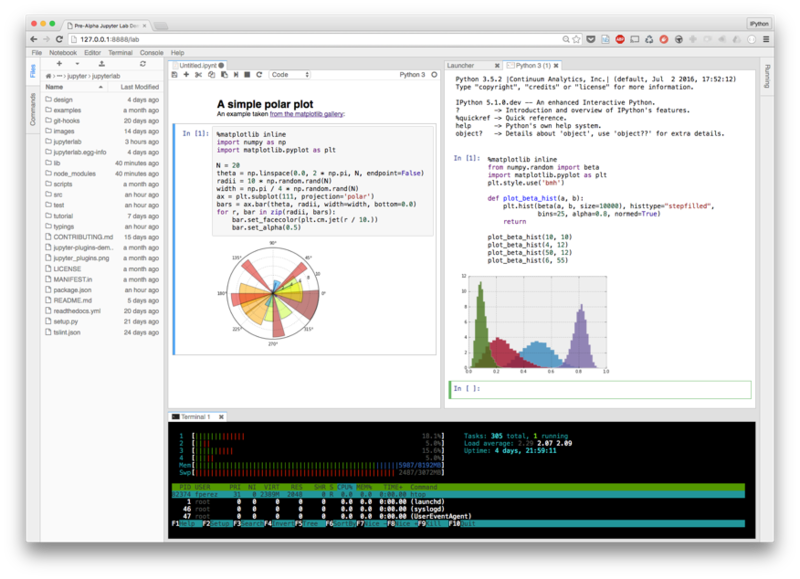 Just added Rodeo a python IDE built for analysing data to the page of data analysis tools. Most of kinase inhibitors bind in the region of the ATP binding site using the hydrogen bonding interactions of the hinge region shown in the schematic below. 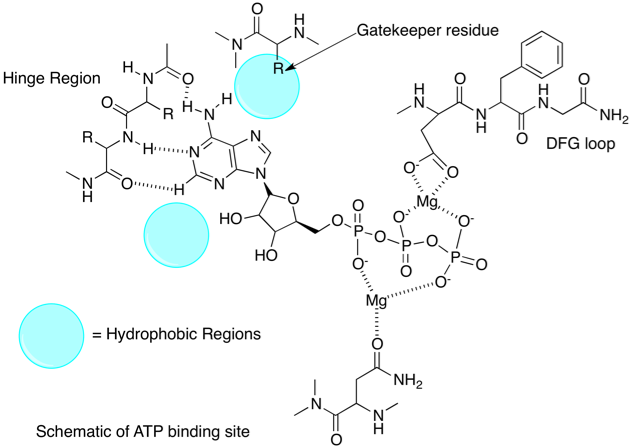 We can use the knowledge of these hinge binding motifs to flag potential kinase inhibitors. Red Monk have published their Programming Language Rankings. The data source used for these queries is the GitHub Archive. Swift (+1): Finally, the apprentice is now the master. Technically, this isn’t entirely accurate, as Swift merely tied the language it effectively replaced – Objective C – rather than passing it. Still, it’s difficult to view this run as anything but a changing of the guard. Apple’s support for Objective C and the consequent opportunities it created via the iOS platform have kept the language in a high profile role almost as long as we’ve been doing these rankings. Even as Swift grew at an incredible rate, Objective C’s history kept it out in front of its replacement. Eventually, however, the trajectories had to intersect, and this quarter’s run is the first occasion in which this has happened. In a world in which it’s incredibly difficult to break into the Top 25 of language rankings, let alone the Top 10, Swift managed the chore in less than four years. It remains a growth phenomenon, even if its ability to penetrate the server side has not met expectations. A curated list of awesome Python frameworks, libraries, software and resources related to Chemistry. A blog post giving more details http://lukaszmentel.com/blog/awesome-python-chemistry/index.html. MayaChemTools is a fabulous collection of Perl and Python scripts, modules, and classes to support a variety of day-to-day computational discovery needs. These invaluable scripts can be used in other applications, I've written a Vortex Script that uses them. UCSF ChimeraX is next-generation software for the visualization and analysis of molecular structures, density maps, 3D microscopy, and associated data. It addresses challenges in the size, scope, and disparate types of data attendant with cutting-edge experimental methods, while providing advanced options for high-quality rendering (interactive ambient occlusion, reliable molecular surface calculations, etc.) and professional approaches to software design and distribution. It is important to note that ChimeraX is not backward compatible with Chimera and does not read Chimera session files. It has been tested on MacOS X 10.12. The ChimeraX user interface is implemented in Qt, offering a native-like look and feel on each platform. ChimeraX is largely implemented using Python, an interpreted programming language. To manipulate these very large datasets interactively, ChimeraX uses memory-efficient data structures combined with high-performance algorithms implemented in C++. MacroMolecular Crystallographic Interchange Format (mmCIF) is the preferred format for atomic data in ChimeraX, mmCIF replaces the aged and more limited PDB format and offers a number of advantages. The most popular suggestion on the "How can we improve Excel for Windows" forum is Python as an Excel scripting language with over 4500 votes and it has elicited a comment from the MSFT excel team. Thanks for the continued passion around this topic. We’d like to gather more information to help us better understand the needs around Excel and Python integration. Of course one would hope that they also add it to the Mac version of Excel. Just came across this really invaluable resource. YANK is a GPU-accelerated Python framework for exploring algorithms for alchemical free energy calculations. 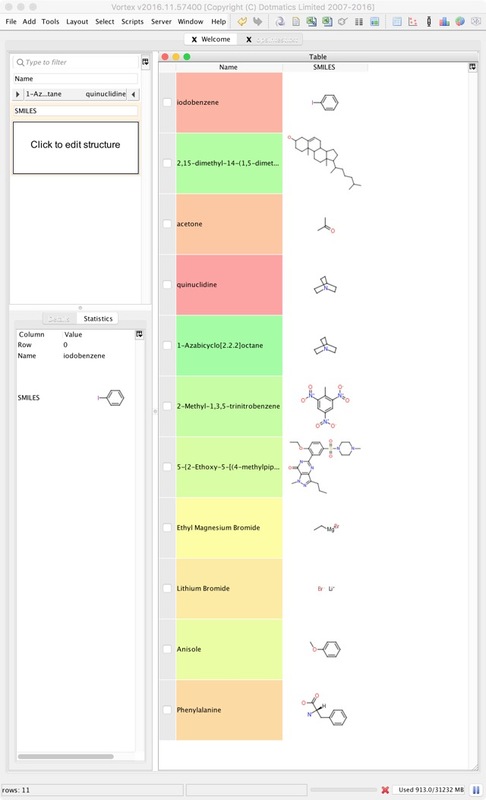 Open Drug Discovery Toolkit (ODDT) is modular and comprehensive toolkit for use in cheminformatics, molecular modeling etc. ODDT is written in Python, and make extensive use of Numpy/Scipy. Open Drug Discovery Toolkit (ODDT): a new open-source player in the drug discovery field DOI. 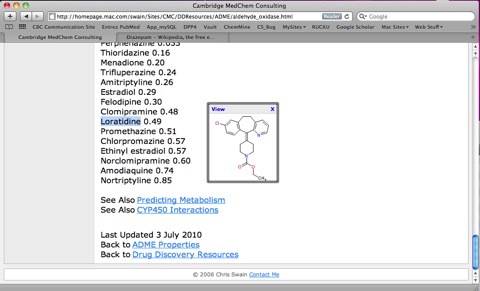 The Open Drug Discovery Toolkit was developed as a free and open source tool for both computer aided drug discovery (CADD) developers and researchers. ODDT reimplements many state-of-the-art methods, such as machine learning scoring functions (RF-Score and NNScore) and wraps other external software to ease the process of developing CADD pipelines. ODDT is an out-of-the-box solution designed to be easily customizable and extensible. Install a clean Miniconda environment, if you already don't have one. 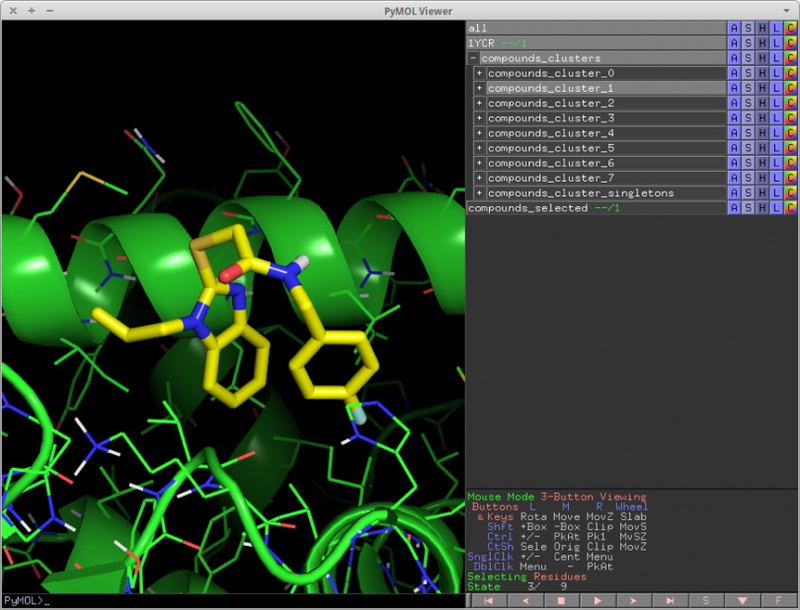 cluster_mols is a PyMOL plugin that allows the user to quickly select compounds from a virtual screen to be purchased or synthesized. This plugin has a number of dependencies that are required. And it is currently only supported on Linux and OSX. Baumgartner, Matthew (2016) IMPROVING RATIONAL DRUG DESIGN BY INCORPORATING NOVEL BIOPHYSICAL INSIGHT. Doctoral Dissertation, University of Pittsburgh. FreeSASA is a command line tool, C-library and Python module for calculating solvent accessible surface areas (SASA). The Read Me gives download, build and installation instructions, in addition it details how to build the Python interface. PubMed comprises more than 24 million citations for biomedical literature from MEDLINE, life science journals, and online books. Citations may include links to full-text content from PubMed Central and publisher web sites. They also provide a number of programming tools that allow access to the information, E-utilities are a set of server-side programs that provide a stable interface into the Entrez query and database system. To access these data, a piece of software first posts an E-utility URL to NCBI, then retrieves the results of this posting, after which it processes the data as required. The software can thus use any computer language that can send a URL to the E-utilities server and interpret the XML response; examples of such languages are Perl, Python, Java, and C++. A while back I wrote a vortex script that helps with these sort of searches if you have multiple terms you want to search. I've updated this script to incorporate the changes requiring api keys to allow multiple requests to the E-utilities api, and I've highlighted where you need to add your own api key in the script. I've also tried to ensure that any query string should be encoded to make it URL safe. The update is detailed more fully here…. 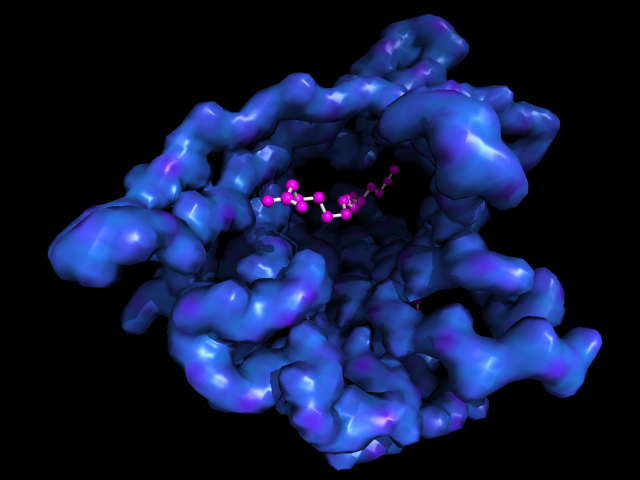 The RCSB Protein Data Bank is an absolutely invaluable resource that provides archive-information about the 3D shapes of proteins, nucleic acids, and complex assemblies that helps scientists understand all aspects of biomedicine and agriculture, from protein synthesis to health and disease. Currently the PDB contains over 134,000 data files containing structural information on 42547 distinct protein sequences of which 37600 are human sequences. They also provide a series of tools to search, view and analyse the data. Downloading an individual pdf file is pretty trivial and can be done from the web page as shown in the image below. They also provide a Download Tool launched as stand-alone application using the Java Web Start protocol. The tool is downloaded locally and must be then opened. I've found this a little temperamental and had issues with Java versions and security settings. Since I've been making extensive use of the web services to interact with RCSB I decided to explore the use of Python to download multiple files. I started off creating a Jupyter notebook using the web services provided by RCSB. I've also used variations on this code to create a python script and a Vortex script. Bioconda supports only 64-bit Linux and Mac OSX. Bioconda offers a collection of over 2900 software tools, which are continuously maintained, updated, and extended by a growing global community of more than 250 contributors. Bioconda improves analysis reproducibility by allowing users to define isolated environments with defined software versions, all of which are easily installed and managed without administrative privileges. You can read more details in this publication "Bioconda: A sustainable and comprehensive software distribution for the life sciences", doi. Whilst there are a number of compilaions of Bioinformatics software, Bioconda looks to be by far the most comprehensive. This installs CNVkit plus the appropriate Python and R dependencies. SAMSON has an open architecture which allows anyone to extend it - and adapt it to their needs - by downloading SAMSON Elements (modules). SAMSON Elements come in many flavors: apps, editors, controllers, models, parsers, etc., and are adapted to different application domains. SAMSON Elements help users build new models, perform calculations, run interactive or offline simulations, visualize and interpret results, and more. Add new SAMSON Elements to SAMSON straight from SAMSON Connect. Pharmacelera we have written a python script to generate conformations with RDKit and made it available here . 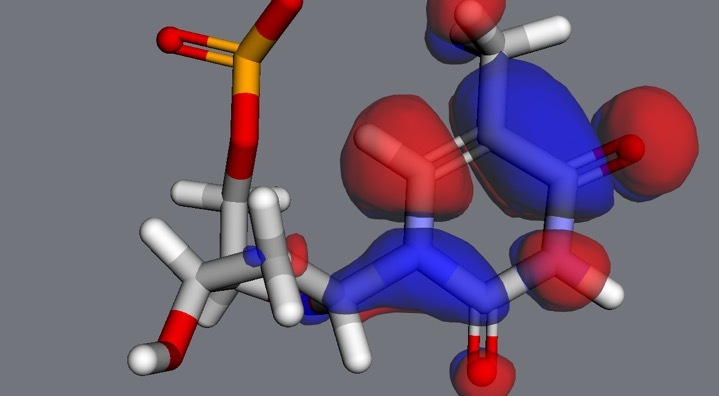 Conformer generation is one of the first and most important steps in most ligand based experiments, particularly when the ligand’s 3D structure is unknown. For example, the quality of the conformers could affect the results of virtual screening experiments. I just saw this message on the rdkit mailing list and I thought I'd flag it. I've noticed a problem with anaconda python on the Mac. This may also be a problem on linux, but I haven't tested that yet. Due to some changes in the way the anaconda team is doing python builds, the most recent conda python builds seem to no longer work with the RDKit. The symptom is an error message like "Fatal Python error: PyThreadState_Get: no current thread" when you try to import the rdkit. I've observed this for the newest 3.5 (3.5.4-hf91e95415) and 3.6 (3.6.2-hd0bf7f115) builds. A workaround is to downgrade to 3.5.3 (conda install python=3.5.3) or 3.6.1 (conda install python=3.6.1). Just catching up on reading the literature and came across this interesting python paper in Journal of Cheminformatics. DOI. Scoria is useful for both analyzing molecular dynamics (MD) trajectories and molecular modeling. For example, we have used beta-version Scoria functions to create large-scale lipid-bilayer models, to construct small-molecules models with improved predicted binding affinities, to measure MD-sampled binding-pocket shapes and volumes , and to develop neural-network docking scoring functions, among other applications. As an additional example, in this manuscript we describe a trajectory-analysis Scoria script that colors the atoms of one protein chain by the frequency of their contacts with a second chain. It is really useful to have two sites of metabolism tools available that use contrasting methodologies, FAME 2 using curated dataset of experimentally determined metabolism data to build a machine learning model using simple descriptors. In contrast SMARTCyp uses precomputed activation energies from density functional theory (DFT) calculations of model compounds. I previously wrote a script displaying the [results of a SMARTCyp calculation in a webview. The first part of the script imports the smartcyp.jar, however with each update I was finding issues so I thought it might be better to simply treat SMARTCyp as a command line application and use subprocess to access it. Chemfp is a set of command-line tools and a Python library for working with cheminformatics fingerprints. It can use OEChem/OEGraphSim, RDKit, or Open Babel to create fingerprints in the FPS format, and it implements a high-speed Tanimoto search. The software is available under the MIT license. For more information see http://chemfp.com/. Documentation is available from http://chemfp.readthedocs.io/en/chemfp-1.3/ . In-memory Tanimoto searches for 166-bit MACCS keys on computers with the POPCNT instruction is about 30% faster. FPS loading is about 40% faster. As a result, file-based searches are about 25% faster. The in-memory search algorithms in version 1.1 were parallelized with OpenMP, but the NxM k-nearest search was left out. That case is now also parallelized. Some of the APIs from the commercial version were backported to 1.3, including the fingerprint writer API and functions for substructure fingerprint screening. This release support Python 2.7 but it no longer supports Python 2.5 or Python 2.6. The commercial version supports Python 2.7 and Python 3.5+, handles more than 4GB of fingerprint data, and has a binary fingerprint format for fast loading. It is available from http://dalkescientific.com/releases/chemfp-1.3.tar.gz. I've become a great fan of Jupyter Notebooks as a way of modelling cheminformatics data, and I've published some of the notebooks here. In the predicting AMES activity notebook I also looked at the use of pickle to store the predictive model and then access it using a Jupyter notebook without the need to rebuild the model. Whilst a notebook is a nice way to access the predictive model it might also be useful to be able to access it from other applications or from the command line. In this tutorial we look at providing command line access to the model and then incorporating it into a Vortex script. I the last post I asked about about adding version numbers. Almost immediately I got a brilliant response. I'm in the process of updating the Jupyter notebooks to Python3 and I looking at what I can do make sure other people can reproduce the results. At the moment I annotate the imported python modules with version numbers in the Jupyter notebook. Finding the versions is a bit tedious and I was wondering if there was some way to automate this? Here we contribute a thorough analysis of 13 state-of-the-art, commonly used machine learning algorithms on a set of 165 publicly available classification problems in order to provide data-driven algorithm recommendations to current researchers. We present a number of statistical and visual comparisons of algorithm performance and quantify the effect of model selection and algorithm tuning for each algorithm and dataset. The analysis culminates in the recommendation of five algorithms with hyperparameters that maximize classifier performance across the tested problems, as well as general guidelines for applying machine learning to supervised classification problems. Good to see my preferred method Random Forest close to the top of the ranking based on performance over 165 datasets. The rankings show the strength of ensemble-based tree algorithms in generating accurate models: The first, second, and fourth-ranked algorithms belong to this class of algorithms. All 13 ML algorithms were used as implemented in scikit-learn, a popular ML library implemented in Python. One of the great features of the latest version of Vortex (> build 29622) is the ability to script multiple sub-structure searches using SMARTS. There are many occasions when this sort of feature is useful, if you want to flag molecules that contain reactive functional groups, toxicophores, or PAINS functional groups that have been shown to interfere with high-throughput screens. Vortex tutorial 24 described how to do this multi-substructure searching. There have now been a couple of new publications describing the identification of false positives in high-throughput screening campaigns in which the binding of glutathione S-transferase (GST) to glutathione (GSH) is used for detection of GST-tagged proteins. There have also been some suggestions as to how some of the motifs might be interfering with the assay, as shown below. Academic researchers, drawn into drug discovery without appropriate guidance, are doing muddled science. When biologists identify a protein that contributes to disease, they hunt for chemical compounds that bind to the protein and affect its activity. A typical assay screens many thousands of chemicals. ‘Hits’ become tools for studying the disease, as well as starting points in the hunt for treatments. These molecules — pan-assay interference compounds, or PAINS — have defined structures, covering several classes of compound. But biologists and inexperienced chemists rarely recognize them. Instead, such compounds are reported as having promising activity against a wide variety of proteins. Time and research money are consequently wasted in attempts to optimize the activity of these compounds. Chemists make multiple analogues of apparent hits hoping to improve the ‘fit’ between protein and compound. Meanwhile, true hits with real potential are neglected. I've updated the tutorial and the scripts for download. In the previous workflow I described docking a set of ligands with known activity into a target protein, in this workflow we will be using a set of ligands from the ZINC dataset searching for novel ligands. Once docked the workflow moves on to finding vendors and selecting subsets for purchase. Whilst high-throughput screening (HTS) has been the starting point for many successful drug discovery programs the cost of screening, the lack of access to a large diverse sample collection, or the low throughput of the primary assay may preclude HTS as a starting point and identification of a smaller selection of compounds with a higher probability of being a hit may be desired. Directed or Virtual screening is a computational technique used in drug discovery research designed to identify potential hits for evaluation in primary assays. It involves the rapid in silico assessment of large libraries of chemical structures in order to identify those structures that most likely to be active against a drug target. 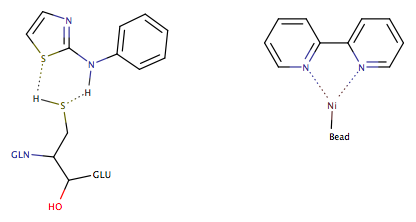 The in silico screen can be based on known ligand similarity or based on docking ligands into the desired binding site. In this workflow I'll be looking at using docking to identify potential hits. I've updated the description to give more information about preparing the target protein. I recently wrote a review of Reaction Workflows, a web-based tool that allow users to build workflows from nodes that provide inputs and outputs or perform actions, including ones to perform reaction-, scaffold-, and transform-based enumeration, and it is all done within a web browser interface using drag and drop. Whilst you can draw input structures one of the real strengths is the ability to import pre-categorised reagent files e.g.Acid Chlorides or secondary amines. This script is intended to help with this within Vortex. This script is a variation of the high performance sub-structure search scripts described previously, however instead of simply flagging the presence (or absence) of a SMARTS query we provide a count of the number of times a SMARTS query is identified within a molecule. The script uses all available cores and is thus capable of running multiple queries in parallel and can thus handle very large datasets. The script currently contains around 70 different SMARTS queries for both functional groups and atom counts and I'd be happy to add any suggestions. Greg Landrum posted the following to the RDKit users and since a couple of the Jupyter Notebooks I've published make extensive use of RDKit I thought I'd flag it. I will be adding the RDKit to this list. The RDKit will switch to support only Python 3 by 2020. At some point between now and then - likely during the 2018.09 release cycle - we will create a maintenance branch for Python 2 that will continue to get bug fixes but will no longer have new Python features added. This branch will be maintained, and we will keep doing Python 2 builds, until 2020 when official Python 2 support ends. Additionally, starting during the 2018.03 release cycle we will accept contributions for new features that are not compatible with Python 2 as long as those features are implemented in such a way that they don't break existing Python 2 code (more on this later). This will allow members of the RDKit community who have made the switch to Python 3 to start making use of the new features of the language in their RDKit contributions. If you have not made the switch yet to Python 3: please read the web page I link to above and take a look at the list of projects that have committed to transition. The switch from Python 2 to Python 3 isn't always easy, but it's not getting any easier with time and you have a few years to complete it. There are a lot of online resources available to help. A while back I published two scripts that use UniChem a web resource provided by the EBI, a 'Unified Chemical Identifier' system, designed to assist in the rapid cross-referencing of chemical structures, and their identifiers, between multiple databases. The first script uses the ChEMBL ID to search for other identifiers, the second script allows more flexible searching using any of the identifiers available within UnicChem. One of the identifiers returned is from the PDBe (Protein Data Bank Europe) and represents the ID of the ligand in the PDB. 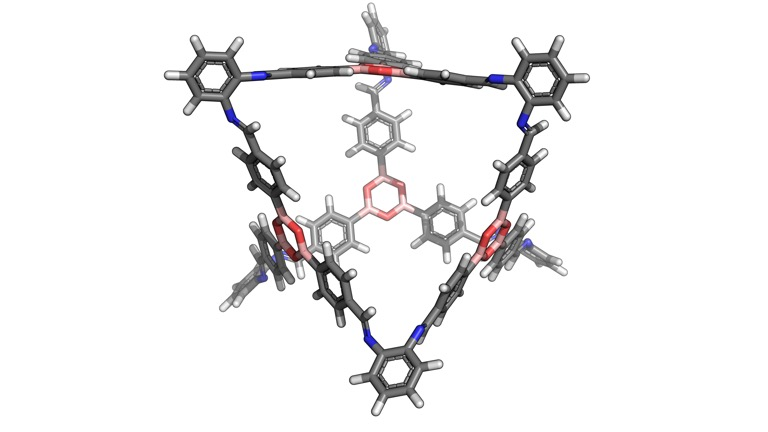 Whilst this is interesting it would also be very useful to have the identity of the crystal structures that contain the ligand. Fortunately PBDe provide a series of web services that can be used to interrogate the database, together with a really useful page to help build the calls. Full details of the script are here.. There is a comprehensive listing of scripts, tips, jupyter notebooks etc here. Psi4 is an ab initio electronic structure program providing methods such as Hartree–Fock, density functional theory, configuration interaction, and coupled-cluster theory. The 1.1 release represents a major update meant to automate complex tasks, such as geometry optimization using complete-basis-set extrapolation or focal-point methods. Conversion of the top-level code to a Python module means that Psi4 can now be used in complex workflows alongside other Python tools. Psi4 1.1 can be downloaded from here with versions supporting Python 2.7, 3.5 and 3.6. Note the installation instructions for Mac: Install XCode via the App Store, Make sure you open XCode and accept the license agreement after you install. The generation of multiple conformations is an important step in a number of operations from input to ab initio calculations to providing input files for docking studies. A recent paper compared seven freely available conformer ensemble generators: Balloon (two different algorithms), the RDKit standard conformer ensemble generator, the Experimental-Torsion basic Knowledge Distance Geometry (ETKDG) algorithm, Confab, Frog2 and Multiconf-DOCK DOI, and also provided a dataset of ligand conformations taken from the PDB. A recent twitter discussion involving Greg Landrum and David Koes prompted Greg to publish a blog post describing conformation generation within RDKit. The post compares using distance geometry to select diverse conformations versus an approach that combines the distance geometry approach with experimental torsion-angle preferences obtained from small-molecule crystallographic data (ETKDG). He also looks at the impact of force-field minimisation. A really interesting read with code provided. aRMSD is an open toolbox for structural comparison between two molecules with various capabilities to explore different aspects of structural similarity and diversity. Crystallographic data provided from cif files is fully supported and the results can be rendered with the help of the vtk package. A great tutorial describing how to use 'Biopandas' MOL2 DataFrames to analyze molecules conveniently. The Tripos MOL2 format is a common format for working with small molecules. This is a recording of the March 2017 Global Health Compound Design meeting. 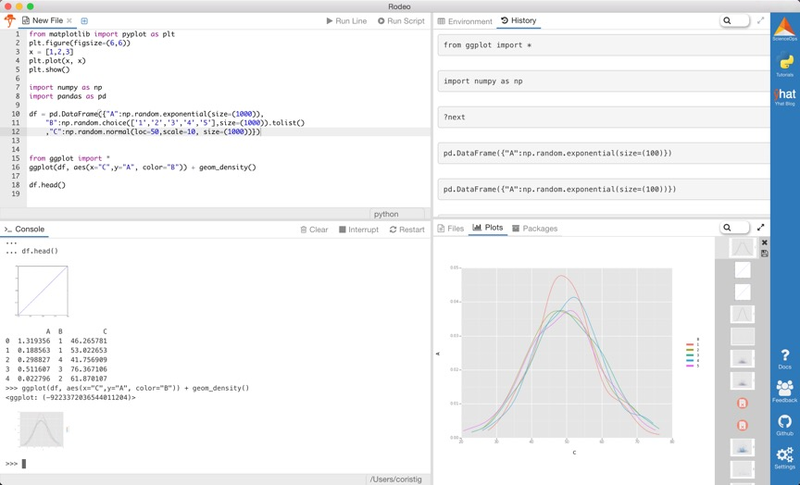 A webinar demonstrating using Jupyter, the free iPython notebook. I've been experimenting with the use of Jupyter Notebooks (aka iPython Notebooks) as an electronic lab notebook but also a means to share computational models. The aim would be to see how easy it would be to share a model together with the associated training data together with an explanation of how the model was built and how it can be used for novel molecules. In this first notebook a random forest model to predict AMES activity is described…. 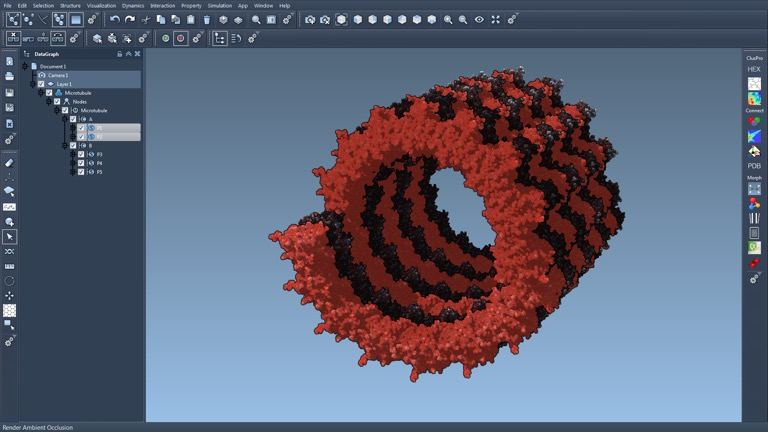 The Molecular Design Toolkit is an open source environment that aims to seamlessly integrated molecular simulation, visualization and cloud computing. It offers access to a large and still-growing set of computational modelling methods with a science-focused Python API, that can be easily installed using PIP. It is ideal for building into a Jupyter notebook. The API is designed to handle both small molecules and large bimolecular structures, molecular mechanics and QM calculations. There are a series of Youtube videos describing some of the functionality in more details, starting with this introduction. Too often I come across datasets that Chemical names or identifiers but no actual molecular structure, recently Dan at Dotmatics suggested I look at OPSIN. There are also several web services for converting names to structure and I've highlighted a couple of options here and described three scripts that allow them to be used from within Vortex. There are many more scripts on the Hints and Tutorials Page. I often need to tag individual molecules within a dataset with a specific property, perhaps the results of clustering algorithms, the results of PAINS filtering, or Liver toxicity filters. Alternatively if you have a drug discovery project with multiple chemotypes you might want to tag particular groups of compounds as belonging to a named series to aid analysis. A question that might then arise is “How many molecules belong to each category?”. Whilst you can see the numbers in the sidebar there is not an easy way to export the results. Hopefully this script can help. There has been an interesting discussion about installing rdkit-postgresql95 on Mac OS X on the rdkit mailing list and I thought it might be of wider interest. Here's the resolution of the difficulties I was having installing rdkit-postgresql95 on Mac OS X. The problem turned out to be that the package originally posted used Py3.5, and I'm still using 2.7. I may change to 3.5 at some point, but Greg was kind enough to add a 2.7 version of the package. So, the following invocations work to set up rdkit with the cartridge in a new env on Mac OS X. I'm on El Capitan, by the way, and for clarity, I've not tested the installation, but only checked that it completed successfully. It's been a long time in the making, but today we want to start engaging our community with an early (pre-alpha) release of the next generation of the Jupyter Notebook application, which we are calling JupyterLab. ZINC is a free database of commercially-available compounds for virtual screening. ZINC contains over 100 million purchasable compounds in ready-to-dock, 3D formats. Sterling and Irwin, J. Chem. Inf. Model, 2015. This is an invaluable resource for any type of virtual screening or for anyone looking to create a physical screening or fragment collection. Once you have done the virtual screening you will rapidly realise that the really time-consuming a tedious part now lies ahead. Finding out which vendors stock a particular molecule and then ordering them. Looking up the vendor details for individual compounds is extremely tedious and so this Vortex script may be very useful. Many more scripts, iPython notebooks and tutorials can be found here. The results of the annual data analysis poll are in and show some interesting trends, in particular the dramatic increase in Python use. R remains the leading tool, with 49% share (up from 46.9% in 2015), but Python usage grew faster and it almost caught up to R with 45.8% share (up from 30.3%). Actually looking down the list I notice there is also an entry for scikit-learn, which is Python based, and if you add that in Python is now the most commonly used data analysis tool. There was a 10% drop in the use of KNIME, and a 36% drop in the use of TIBCO Spotfire two products used in cheminformatics. In terms of programming languages Python is by far the most extensively used. In the Big Data area Hadoop (22.1%) and Spark (21.6%) dominate. There is a listing of data analysis tools for MacOSX here. I came across the jupyter-docker-pymol recently and thought I'd give it a mention. 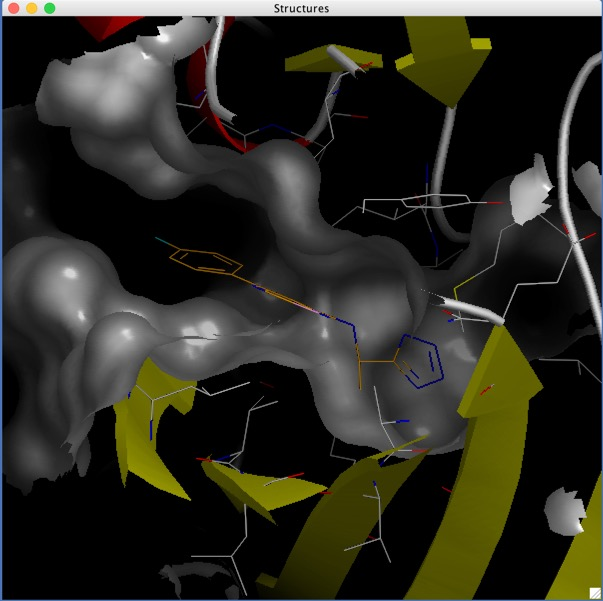 It is a Container-based installation of PyMol, with interaction through the browser via ipymol and Jupyter notebook (based on jupyter/notebook). RDkit has been updated . MCPB.py, a python based metal center parameter builder, has been developed to build force fields for the simulation of metal complexes employing the bonded model approach. Pengfei Li and Kenneth M. Merz, Jr., "MCPB.py: A Python Based Metal Center Parameter Builder." J. Chem. Inf. Model., 2016, Accepted, DOI. There is an excellent and very detailed online page describing the use of MCPB.py http://ambermd.org/tutorials/advanced/tutorial20/mcpbpy.htm. UniChem is a web resource provided by the EBI, it is a 'Unified Chemical Identifier' system, designed to assist in the rapid cross-referencing of chemical structures, and their identifiers, between multiple databases. Currently the UniChem contains data from 27 different data sources. Currently UniChem provides links to 108,941,995 structures. The previous script showed how to search using ChEMBLID, however one of the attractions of UniChem is that you can search with any molecule identifier if you know the corresponding datasource. This script allows the user to use any molecule identifiers and then search a specified datasource using a common web service. ChEMBL also provide a RESTful Web service that users can use to retrieve data from the UniChem database in a programmatic fashion. Promiscuous inhibition caused by small molecule aggregation is a major source of false positive results in high-throughput screening. A recent particularly valuable publication, Irwin, Duan, Torosyan, Doak, Ziebart, Sterling, Tumanian and Shoichet, J Med Chem, 2015, 58(1 7), 7076-7087 DOI, has collated over 12,000 organic molecules known to act as aggregators at concentrations used in screening campaigns, and provides a resource Aggregation Advisor that can be used to try and predict possible false positives. However in many instances it would be unwise to submit proprietary information to the public web service. Potential aggregators are flagged based on calculated LogP >3 and/or similarity >0.85 to a known aggregator (using path based fingerprint) this script calculates xLogP using the algorithm provided by Dotmatics and then uses OpenBabel fast search to calculate the closest similarity to a known aggregator. Full details of the Vortex script are here. There is a great blog article on ChEMBL-og, describing their work evaluating chemical structure based searching in MongoDB. MongoDB is a NoSQL database designed for scalability and performance that is attracting a lot of interest at the moment. The article does a great job in explaining the logic behind improving the search performance. They also provide an iPython notebook so you can try it yourself. It is always interesting to note which scripts attract the most attention, often it is scripts that aid with relatively simple tasks. Among the Applescripts it is the script to simply print the clipboard. When working with multiple data sets of molecules, particularly if combining them from multiple sources, one of the most common tasks is removal of duplicates. This can be a time-consuming and error prone process if carried out manually and this script should hopefully make this a much easier task. This seems to have attracted interest but I got a comment that it "works fine but is slow for larger data sets". So I've been looking at improving performance. In order to test the performance I took around 150,000 random structures from ChEMBL and then duplicated 0.01% to give a test set of 160,146 molecules. The original version of the script took 95 mins, using the same test set, version 2 of the script took less than 3 mins! This increase in performance means that it is now practical to use the script on much larger datasets. You can read full details and download it here. There are many more Hints, scripts and tutorials here. Polyphony is an open source software suite written in python. Its purpose is the superimposition free analysis and comparison of multiple 3D structures of the same or closely related protein molecules. All following documentation assumes that you have these installed. Excellent blog post on the ChEMBL python update. I've recently published a Vortex script to access the information, I've now published an iPython notebook that also shows how to import the data. Why not give it a try and then contribute your findings and suggestions to the Open Source Malaria project. 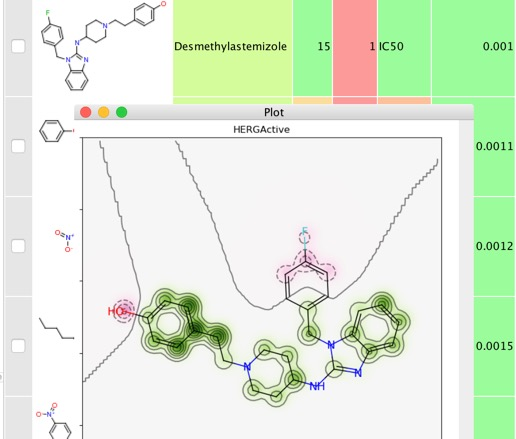 A recent paper in J Cheminformatics described Open Drug Discovery Toolkit (ODDT): a new open-source player in the drug discovery field DOI a free and open source tool for both computer aided drug discovery (CADD) developers and researchers. Open Drug Discovery Toolkit is released on a permissive 3-clause BSD license for both academic and industrial use. ODDT’s source code, additional examples and documentation are available on GitHub. To install ODDT on a Mac you first need to install the appropriate toolkits, the easiest way is to use Homebrew, I've written a page detailing how to do this here. Once installed you can install ODDT using PIP as described here. The results of the 16th annual KDnuggets Software Poll on data analysis tools is in. The results very much reflect my own interactions, whilst R has a significant installed user base and of course a vast repository of open source packages, Python seems to be gaining traction. Certainly in part because Python seems to have become the lingua franca for scientific computing. I've always thought of KNIME and Tableau as excellent tools for implementing workflows but looking at recent iterations it is clear there is now greater emphasis on interactive analysis. There is a listing of data analysis tools for Mac OS X here. 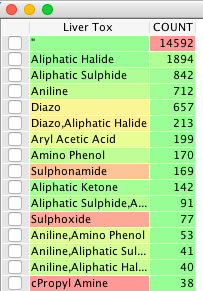 Whilst most of the Vortex scripts mentioned on this site to date involve chemical structures we should not forget that Vortex is an excellent general data analytics tool and the data set does not have to include any molecular structures. Recently I was asked about the number of publications associated with a particular potential therapeutic target and it struck me that Vortex might actually be an excellent tool to investigate this. Reading through the discussion on Scientific Applications under Yosemite it seems some people are having problems with PYMOL, I thought I'd mention that installation of PYMOL using Homebrew is included on the page describing how to set up a Mac for Cheminformatics. The page also describes how to install a wide range of other useful tools. Substructure searching very large compound collections. I described the use of the ability to script in Vortex multiple sub-structure searches using SMARTS. There are many occasions when this sort of feature is useful, if you want to flag molecules that contain reactive functional groups, toxicophores, or PAINS functional groups that have been shown to interfere with a variety of screens. Whilst the script worked fine it was rather slow for larger datasets, in the latest tutorial you can see how to take advantage of some of the latest features in Vortex to substantially improve search speeds allowing searching of 70 million compound collections on a desktop. Scripting Vortex 24:- Substructure searching very large compound collections. 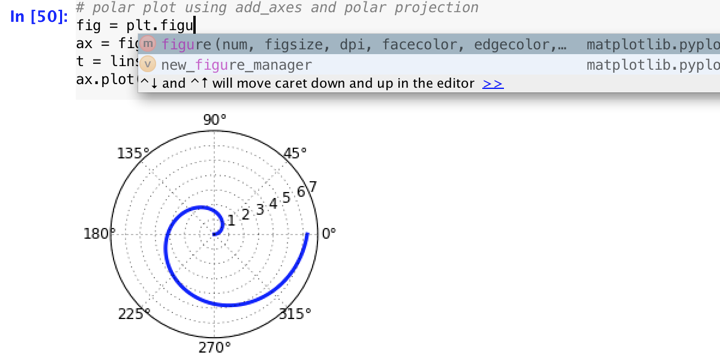 Another very useful features for scientific programming is the NumPy array viewer to easily get a graphical view of a NumPy array and support for matplotlib. There is a really comprehensive support section that includes demos and screencasts . 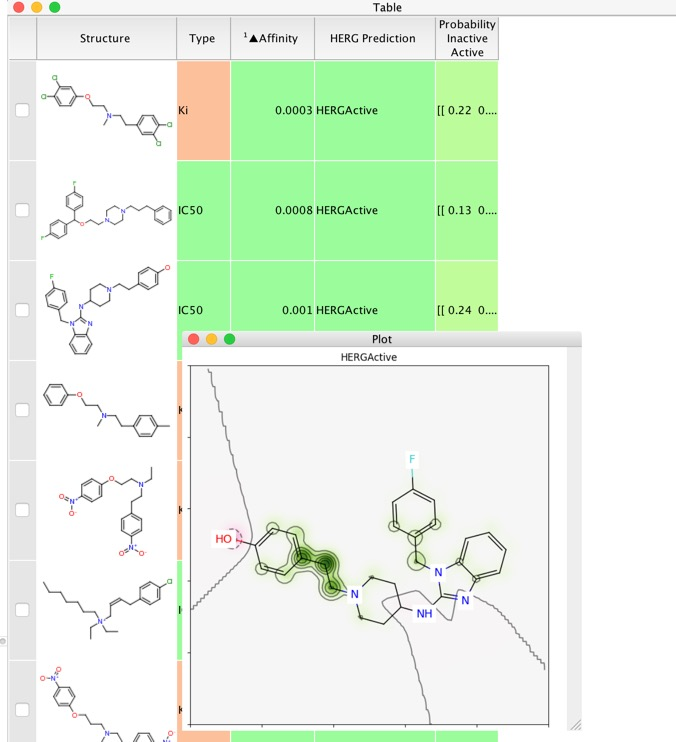 ChEMBL is a manually curated chemical database of bioactive molecules . It is maintained by the European Bioinformatics Institute (EBI), of the European Molecular Biology Laboratory (EMBL), based at the Wellcome Trust Genome Campus, Hinxton, UK. The database currently contains over 1.4 million unique structures with the associated activity at 10,579 different targets. It also acts as a repository for Open Access primary screening and medicinal chemistry data directed at neglected diseases. Whilst the database can be downloaded, the data can also be accessed via a web interface (shown below) and a series of web services, these Vortex scripts show how it is possible to pull data from ChEMBL into Vortex. I think this rather nicely shows the power of web services and json. One of the really neat features of the latest version of Vortex (> build 29622) is the ability to script multiple sub-structure searches using SMARTS. There are many occasions when this sort of feature is useful, if you want to flag molecules that contain reactive functional groups, toxicophores, or PAINS functional groups that have been shown to interfere with a variety of screens. Alternatively if you have a drug discovery project with multiple chemotypes you might want to tag particular groups of compounds as belonging to a named series to aid analysis. The latest Vortex tutorial/script shows how to do this. 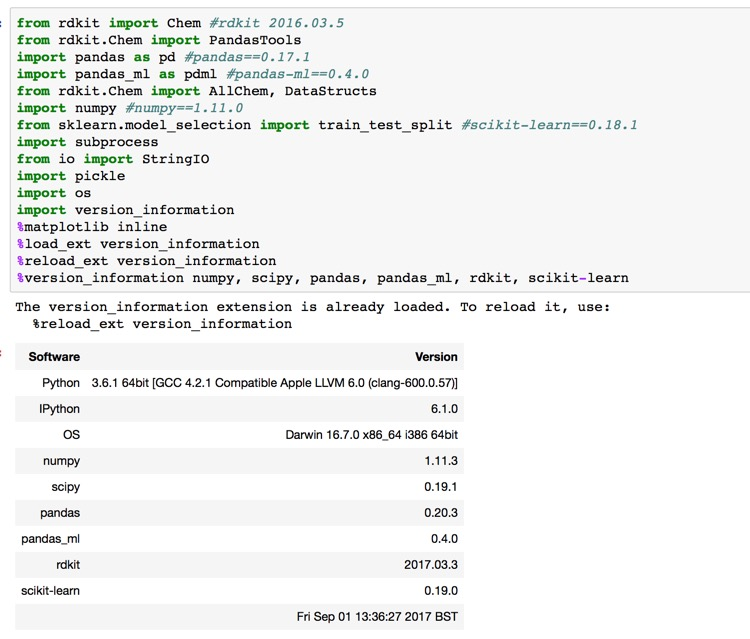 George Papadatos, from the ChEMBL group, has produced a superb iPython notebook tutorial demonstrating the use of RDkit. Sage is a Python based free open-source mathematics software system licensed under the GPL. It builds on top of nearly 100 open-source packages: NumPy, SciPy, matplotlib, Sympy, Maxima, GAP, FLINT, R to provide a common unified interface, either as a notebook in a web browser or the command line. In addition to a local installation it is also possible to use SageMathCloud a free service with support from the University of Washington. 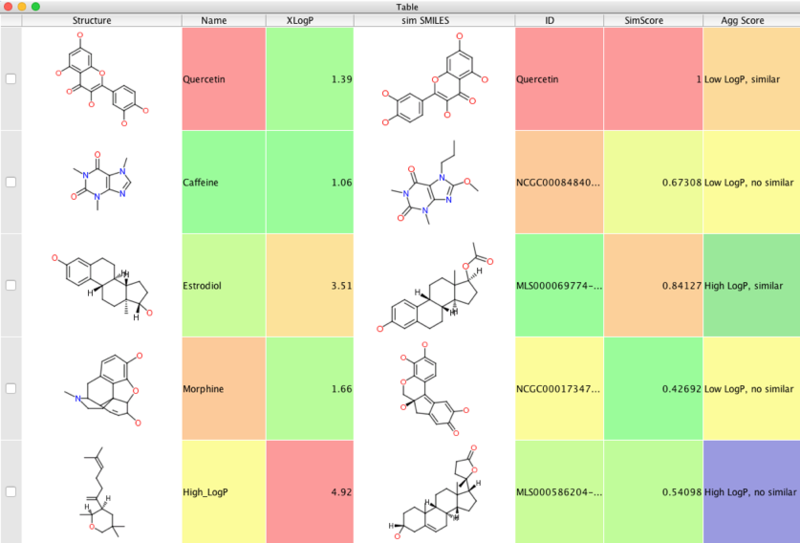 I’ve added Sage to the list of data analysis tools for Mac OS X.
I’ve just added Computable to the mobile science site. Computable brings iPython and SciPy to the iPad allowing to create, edit and run iPython notebooks on your iPad. Computable comes with full-featured SciPy stack, Numpy, SciPy, SymPy, Pandas, Matplotlib. The free download includes a series of 32 example notebooks and lectures that allow you to evaluate the application. To create or edit your own notebooks you will have to make an in app purchase to unlock the full feature set ($9.99). It seems that Python is becoming the preferred language for scripting in science and I wrote a getting started page for Chemists and several people have pointed out a couple of resources that may be useful in particular Roaslind. Rosalind is a platform for learning bioinformatics and programming through problem solving. I looks like an excellent starting point for newcomers and more experienced programmers, whilst focussed on bioinformatics the exercises are useful for all disciplines. For chemists chempython looks to be a very useful resource. I’ve written several Vortex scripts that use external tools to calculate physicochemical properties including the use of ChemAxon (e.g. charge, pKa, logP, logD). However I often need to simply classify molecules as acid, base, neutral or zwitterion, so I’ve updated the script to create another column containing a text annotation. Well things can change quickly at times, in the last tutorial I wrote.. In Scripting Vortex 21 there is a demonstration of this feature and an example script that uses SMARTCyp to predict sites of metabolism. This is another Vortex script, this one is used to implement a central nervous system penetration (CNS) algorithm described in the literature. It is clear from many publications that a number of physicochemical properties influence central nervous system (CNS) penetration and it is often possible to play off one property against another in an effort to improve CNS penetration. An interesting paper from Wagner et al Moving beyond Rules: The Development of a Central Nervous System Multiparameter Optimization (CNS MPO) Approach To Enable Alignment of Druglike Properties describes an algorithm to score compounds with respect to CNS penetration. One of the popular features in Vortex is to colour code columns, this is done automatically but sometimes you want to customise the colouring. For example in one set of values smaller values might be better, in another columns (perhaps an off-target activity) larger numbers might be better. Chatting to Sune Askjær, the author of the Unichem Script, it seemed that this might be a nice addition to this script. The updated script is here. The CNS MPO score was built based on six fundamental physicochemical properties: ClogP, ClogD, MW, TPSA, HBD, and pKa each weighted from 0 to 1.0 full details of the script are here. I’ve recently needed to set up a new Mac and I realised that the current installation process for all the applications, tools, chemistry toolboxes, and associated dependencies was unmanageable. I have a mixture of apps that I have compiled myself, others that I have simply used the precompiled binaries, others from Macports etc. I decided to write a detailed account of the process of installing a number of toolkits and packages using Homebrew and PIP. You can read the full account here in the hints and tutorials. I’d be delighted to hear of any comments or suggestions for addition. In the tutorial Scripting Vortex 15 I showed how it is possible to create a contextual script for Vortex that downloaded a specific PDB file, then a FlexAlign Vortex script first identifies the structure column and then get the SMILES string of the selected molecule generates a 3D structure and uses Flex Align to do a one-shot flexalign between the ligand in the system in MOE, and the incoming ligand. While this is useful if you have similar structures (perhaps analogues in a series) there will certainly be situations where it may be preferable to dock the new ligand into the binding site. The Scripting Vortex 17 tutorial describes how to achieve this. PDB format is the most commonly used by various programs to define three-dimensional structure of biomolecules. Those programs however, often use different versions of this format. Therefore, it is often necessary to write own re-formatting scripts or change files manually, which makes PDB files less convenient to use. There are only few tools allowing to change one or two versions of PDB format into another and no comprehensive approach for unifying PDB format was developed. Here we present an open-source, Python-based tool PDBinout for processing and conversion of various versions of PDB file format for biostructural applications. Moreover, PDBinout allows to create one’s own PDB versions. The download also includes a tutorial. OCHEM is a free open access site of annotated models and chemical data. OCHEM contains 1831772 experimental records for about 477 properties collected from 12457 sources you are free to upload your own data and also build predictive models using existing or your own data. You can run predictions on OCHEM using simple REST-like web services, these vortex scripts submit tasks to the various models and then retrieve the resulting prediction. One of the new features in the latest version of MOE from Chemical Computing Group is the Listener. The MOE socket listener provides an alternative to MOE/web for executing functions remotely on a running instance of MOE. The script will download the associated PDB structures from the rcsb Protein Data Bank, put them into a database then start the browser. It may take a few seconds to download the structure; this does rely on MOE having the right proxy settings to access the internet (use the Java console to set them). 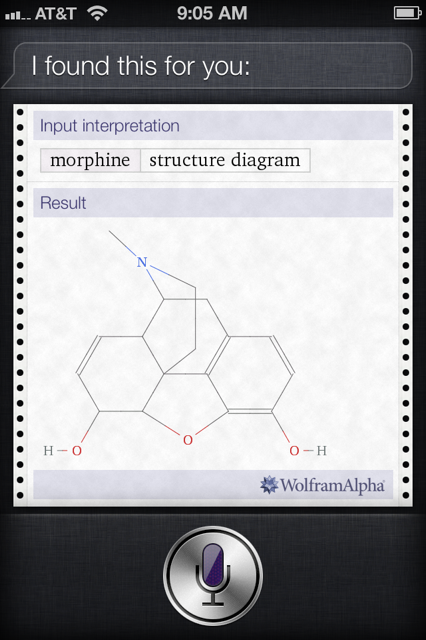 You can now transfer this to MOE and amend the display to highlight the ligand. The MOEflexalign script takes the SMILES string of the selected row generates a 3D structure and does a one-shot flexalign between the ligand in the system in MOE, and the incoming ligand. It is probably easier to see this in action, if it appears rather small click on the YouTube icon in the bottom right corner of the video.